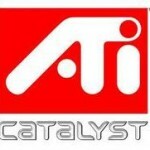 ATI just released another update of their Catalyst Software Suite, which is used for the ATI graphics cards. This release includes an update for the AMD display driver (ATI is part of AMD). Like any driver update release, this new version is released to improve reliability and performance of ATI graphics cards. Version 10.9 includes an update of the ATI Radeon display driver, the new driver version is 8.771. The main improvements in the new release relate to bug fixes in games and performance improvements in games. Performance improvements vary from 5% to 20% depending on the game. But for Vista there are also improvements in the AVI video playback in PowerPoint presentations, and blu-ray video playback no longer corrupts the desktop image. For Windows XP and Windows 7 the update also has a few bug fixes, but of course there is still a long list of known issues that have not been resolved yet. For installing the 10.9 version on XP or Vista, the .NET Framework SP1 needs to be installed. In Windows 7 the .NET Framework is integrated already. Users should also make sure they use a user account with administrator right to install the updated drivers. ATI also recommends that you download the old drivers before installing the new display drivers. 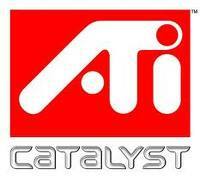 Click here to download and install ATI Catalyst driver R10.9 now. This beta release of version 260.63 further improves the performance of some of the GeForce bases video cards. Especially the GTX 460 and GTX 480 video cards will benefit from increased performance, which will benefit gamers the most. Based on testing NVidia claims these cards can gain between 5% and 20% performance improvements, depending on the application (game). In addition, version 280.63 adds support for the new GT 450 GPU, which also supports the NVida 3D Vision technology and DirectX 11. If you are interesting in playing Blu-Ray movies, you will also benefit from the GeForce 260.63 driver update, as it now supports Blu-Ray playback on the HDMI 1.4 port of GeForce video cards. Connect your 3D TV and you are set to watch Blu-Ray movies. The improvements includes support for high definition audio streaming for Blu-Ray movies. Another improvement in this driver release is the better compatibility with games that required DirectX 7, 8 or 9 compatibility for games running on Windows 7. Many games that need older DirectX support used to have problems on both Vista and Windows 7, even though DirectX 11 is supposed to be downward compatible, so this is a welcome improvement. 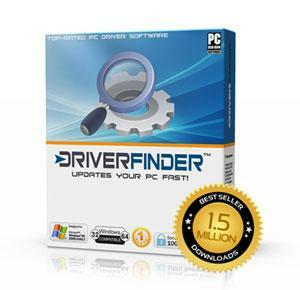 As always, you can get the latest driver releases with DriverFinder. The NVidia GeForce 260.63 release will be added as soon as it is out of beta. Be the first to know when this driver goes out of beta version with DriverFinder™. We keep track of the latest drivers so you don’t have to! Realtek released driver package R.251 for its High Definition Audio devices at the start of the month. The drivers support the Realtek HD Audio Codecs for Window operating systems. Not all codecs are supported for all Windows versions. The Windows version supported by this Realtek driver update are: Windows XP, Windows 2000, Windows Server 2003, Vista, Windows Server 2008, Windows 7. The drivers support both 32-bit versions and 64-bit versions of these Windows editions. All drivers in the Realtek R.251 driver package are Windows Hardware Quality Labs (WHQL) tested and passed, which means that they have passed the Microsoft testing for device drivers. This Realtek driver package update contains unspecified changes, which generally include bug fixes and enhancements. Click here to download and install Realtek HD Audio Driver Update R.251 through DriverFinder.